It has been understood that in a functioning and vibrant democracy there must exist a loyal opposition. In our Republic, with all the checks and balances provided to us through the magnificent Constitution and Bill of Rights, our great human and divinely inspired experiment – the United States of America – has enjoyed the benefits of all such safeguards. But in this second decade of the 21st century, there is no longer a loyal opposition and our very Constitution is under growing threat. It is now ever more apparent that the Democrat Party is now a place where dissent is not tolerated, but where a visceral hatred of Donald Trump has instead almost demonically possessed the Party; to the extent that non-stop Leftist venom is the order of the day. This aberrant behavior is supported by the willing leftwing executioners in the mainstream media, by most of Hollywood and by a majority of tenured professors infesting the colleges and universities. Such a phalanx of pure and unadulterated venom aimed at President Trump is creating, perhaps, an unbridgeable and emotional division within the country. What once united Republicans and Democrats, Conservatives and Liberals is disappearing. Secure borders, national sovereignty, religious freedom and national pride came under a sustained and, what many consider, a diabolical and deliberate attack during the eight long years of the Obama regime. When all the machinations and mendacious activities of the Hillary Clinton campaign failed to win her the presidency, her supporters embarked upon a vicious crusade of political assassination of the duly elected President Donald Trump. This has remained relentless, having as its one malign purpose, the ousting of the Trump presidency, whatever the cost may be; even to the brink of civil war. This menacing attitude was glaringly apparent during the State of the Union address when the cameras panned over to the faces of Democrat members of Congress whose expressions were illustrative of unbound hate and disdain for anything President Trump declared. "Monuments to Washington and Jefferson – to Lincoln and King. Memorials to the heroes of Yorktown and Saratoga – to young Americans who shed their blood on the shore of Normandy and the fields beyond. And others, who went to the waters of the Pacific and the skies over Asia. And freedom stands tall over one more monument: this one. This capitol. This living monument to the American people. A people whose heroes not only live in the past, but all around us – defending hope, pride, and the American way." The Democrat Party is now the party of Leftist radicals, of so-called progressives whose behavior should better be described as regressive. It is the brutish party of Black Lives Matter. of Antifa thugs whose activities are meant to be anti-fascist, but in reality employ all the physical violence that Mussolini's and Hitler's fascist hooligans employed. And then there are the sympathizers of Islamo-fascism and the anti-Semitic BDS troglodytes who swarm like human roaches within the rank and file of the Democrat Party machine. 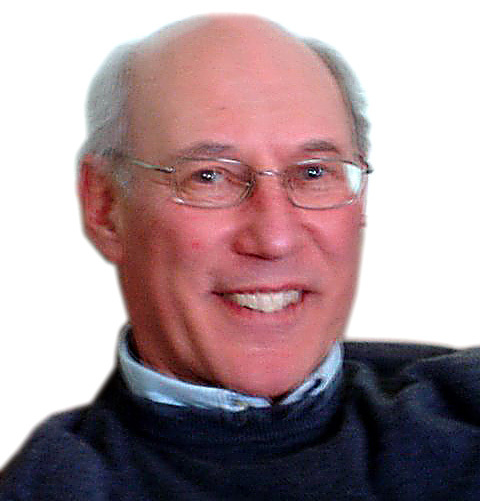 Peter Hasson, Associate Editor of the Daily Caller, published a recent and troubling article about the appearance in 2002 at a Nation of Islam Convention by Democrat California Rep. Maxine Waters. The so-called convention by Louis Farrakhan defended Palestinian suicide bombers who revel in blowing themselves up in order to kill as many Israeli civilians as they can – of course in the belief that they will be rewarded to their heart's content in Allah's paradise with young nubile virgins: A sickening manifestation of Islam's culture of death. And what is this icon of the Democrat Party, this California Rep, doing with such a racist organization; one that stands for the following? The Nation of Islam believes white people are inherently inferior to black people. 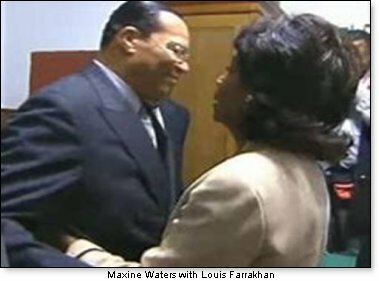 Maxine Waters was not alone in cozying up to Farrakhan and his message of hatred of America. 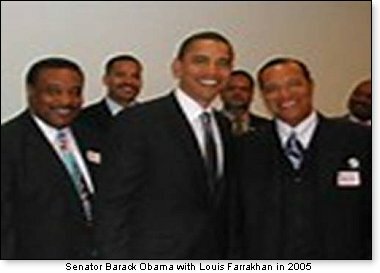 Barack Hussein Obama himself is now exposed in a smiling picture taken with Farrakhan from a Nation of Islam publication. This photo remained secret so as to protect Obama, the then Illinois Senator, as he embarked upon his political future and presidential ambition. But, as Peter Hasson, points out: "The clearest ties between Democrats and the Nation of Islam run through Minnesota Rep. Keith Ellison, the deputy chair of the Democratic National Committee, second only to Luis Gutierrez. "Ellison worked with the Nation of Islam for 18 months organizing a Minnesota delegation to Farrakhan's 1995 Million Man March. 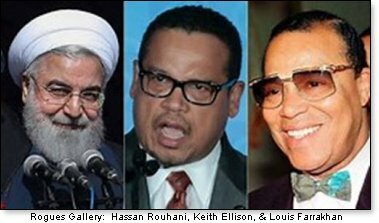 Ellison admitted to his work with the Nation of Islam when he first ran for Congress in 2006, but assured the public that he had since cut ties with Farrakhan." Ellison's statement was blatantly false and provides more proof, if any is needed, of the gross corruption, deceit and malevolence that has overtaken leading operatives of what should be America's loyal opposition. Instead of the Left-leaning and radical Democrat-Party participating in robust and positive political national debates, it is now America's reality that the Left is our misfortune.